Velocity Micro, the premier builder of award winning enthusiast desktops, laptops, high performance computing solutions, and professional workstations announced today the immediate availability of the ProMagix HD150, a single socket AMD EPYC™ processor powered desktop designed for CPU intensive applications like data calculation, machine learning, and AI. With premium, workstation-grade components like AMD Radeon™ Pro SSG or NVIDIA® Quadro® graphics coupled with up to 64 CPU-threads and 512GB of DDR4-2666 ECC RDIMM, the HD150 is highly customizable to meet every need and budget, all in a standard ATX desktop form factor. Configurations start at $3,299. “We are proud to showcase our AMD EPYC processors in the newest wave of ProMagix HD150 desktop workstation solutions. AMD EPYC processor-based workstations offer tremendous performance for simulation, rendering, 8K video editing, and machine learning. AMD EPYC processors provide great performance and reliability, along with innovative configuration, I/O, and security features that Velocity Micro customers can enjoy in these new CPU-intensive workstations,” said John C. Morris, senior director and general manager, Workstation Business, Computing and Graphics Business Group, AMD. All Velocity Micro workstations ship from and are supported in Richmond, VA with no preinstalled bloatware. 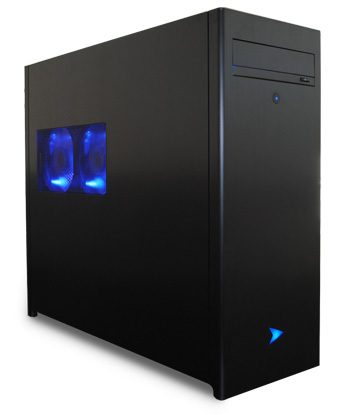 To custom configure a ProMagix HD150 or other meticulously crafted workstation PC, visit VelocityMicro.com or call 804-419-0900. Velocity Micro has earned over 75 industry awards, including 19 PC Magazine Editor’s Choice awards. CNET, Maximum PC, PC World, Wired Magazine, Computer Shopper, and PC Gamer editors have all chosen Velocity Micro systems as some of the industry’s best-performing, highest-quality, and most reliable PCs. AMD, the AMD logo, EPYC, Radeon, Threadripper, and combinations thereof are trademarks of Advanced Micro Devices, Inc.